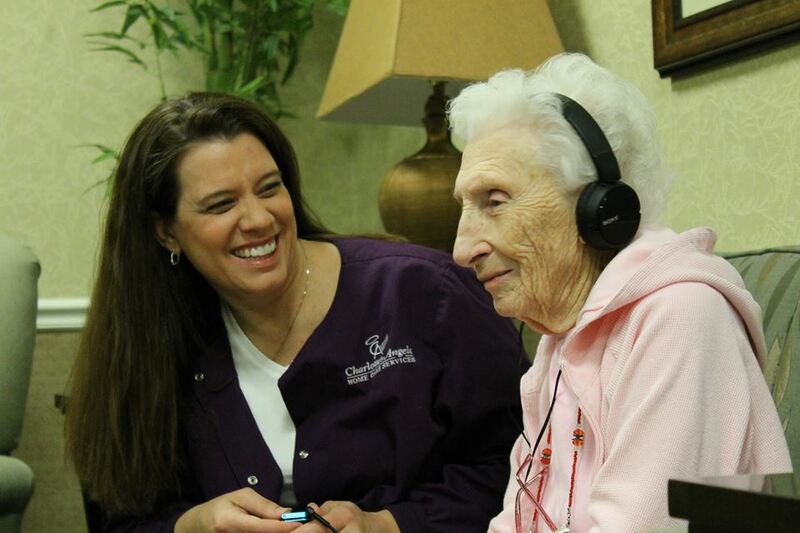 Charlotte’s Angels Home Care is a certified Music & Memory Agency. Providing help for Alzheimer’s and Dementia Patients, this specialized music therapy program is highly personalized and has been shown to reduce the need for anti anxiety and anti psychotic drugs by 50%. In addition to bringing joy to the lives of patient suffering with Alzheimer’s and dementia, this program can enrich the life of anyone with neurological issues, or those required to be on vent or dialysis for long periods of time. Music reopens the door to stored memories that otherwise might be hidden, connecting a person to their former self and bringing joy back into their life. Please contact our office to learn more about this program.